The best Block Official is a happy official who has time from the required duties for some fun. On this page is a tested guide which will allow you to keep your block full and clean in the most efficient way. It is estimated that this method will take between one and two hours each week if you obtain and use properly the listed tools. You are encouraged to print this page as reference. You need a text tool such as EditPad that will allow you to use pre-made messages and just copy and paste them to the chat or message boxes in Colony City. Microsoft Word may be used but we have found EditPad to be a much more simple and compact program that will come up quick and stay on top of the Colony City page you are viewing. EditPad is 273 kb in the zipped form and about 500 kb in the unzipped form. After download you may use a program such as WinZip to unzip the compressed installation file. You need a document file that has a number of sample messages as listed below to cover situations such as welcomes, deletion warnings, and information. These are things that you will use over and over again, and you can just paste the sample into the resident's message box by copying from EditPad and then right clicking in the message box and pasting it. You then customize it. Stop by and leave a Hello message and offer to help with any questions and problems. Thank you for moving to our block. I am the Block Leader here and along with Block Deputies ____ and ____, are responsible for helping you with any problems or questions. Upload an image, add some cool links, and post some information about yourself. If you need help please Inbox me at________. Please be aware that you must visit the City at least once every month or you home may become subject to being deleted. Of course, you will not lose and money nor will you lose experience points but you will have to purchase a new home. Your home may be deleted on May 22, 1999. A welcome package is available for you at http://start.at/mvwp. SDCTCHER, your Block Leader may be contacted at Sdctcher@Yahoo.Com, Yahoo Pager @ Sdctcher, or ICQ at 1866079. The Block Home Page is at http://........ 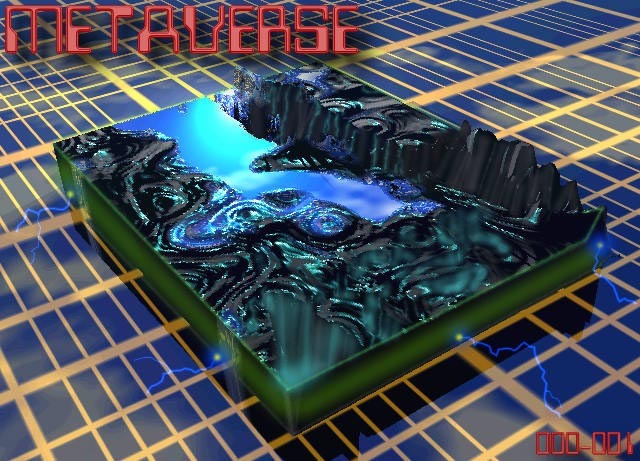 Please read the Metaverse Newsletter @ http://listen.to/mvnews. Employment is available at http://jump.to/mvjobs. Please view the block message board by clicking on the block name on the right menu of your home. It is important that you are familiar with the properties on your block. Some do this by keeping an up-to-date inventory in EditPad, posting a homepage census, or just doing a new survey once a week. You must be aware of new residents to welcome them quickly and also know which residents have been absent for an extended time. To get a quick list go to the CHECK images section of the map page. Copy and Paste each page showing residents information into EditPad or a text program. This will give you all you need to know except the last date visited. This information you must get by visiting each home in the block. It might be wise to save a copy that could be sent to other block officials so that survey work may be rotated. First go to your My Info button on the control panel. Then to Personal Information. There you must change the chat default mode to "none" from 3D. Then Update. This will allow you to survey without loading 3D graphics for each home you visit. Just go thru the right menu list of properties one at a time and look for those over the absent time limit. During the survey, which might be done every weekend, you should leave welcome messages to new residents, leaving one-week deletion warnings, and offering information messages, by copying and pasting from EditPad. This is also a good time to do the deletions necessary from the warnings left the week before. Normally, even with nearly 50 homes, these actions can be completed within an hour or less. Block Deputies doing this should communicate to other officials a list of all the actions taken. Every effort should be made to warn residents through all available means including the Inbox. These might include email, ICQ#, or homepage link if available. Most other cleaning duties can be done at the Map Page. If the method used to list properties was to copy from the CHECK images, you might want to check images while you are copy/pasting. With recent changes in Blaxxun Contact you can check images quickly by paging through 3 or 4 pages. Any that shows as Locked can be viewed, authorized if not offensive, and unlocked by clicking on the image, unckecking the locked box, and updating. Sometimes you may find a locked image with no image. These may be titled as text/html or bmp. The resident will need to be notified that these types are unacceptable. Only jpg/jpeg/gif images of less than 15 kb will work. Offensive images need to be reported to superiors if there is no response to your message to the resident. The Message Board should be cleaned (through deletion of old messages) once a week of out of date or offensive messages. To change the HTML, you should first copy the old to EditPad, just in case you mess it up with your changes. As soon as possible after home deletions and/or viewing new homes you should open or close Free spots on the Update Map. An ideal number of open spots is 4-5. Free spots must never be opened on roads or in trees. To open or close, check or uncheck the boxes, and be sure to click Update before leaving. In Access Rights you might check to be sure only those authorized officials are listed. Never add a name without permission from a superior official. Also always be sure that there are no boxes in the lower table that are checked. This might allow access by people outside of the block. Try to send at least a short message to Resident's home message boards every week or two. These can be informative, encouraging, or just messages copied from the block message board. Another duty which can be done over time, and by subordinate Block Deputies, is the checking of resident links on their home link section. They should be checked for broken or offensive links. Offensive links should be reported to superiors immediately. Others should be messaged to residents.